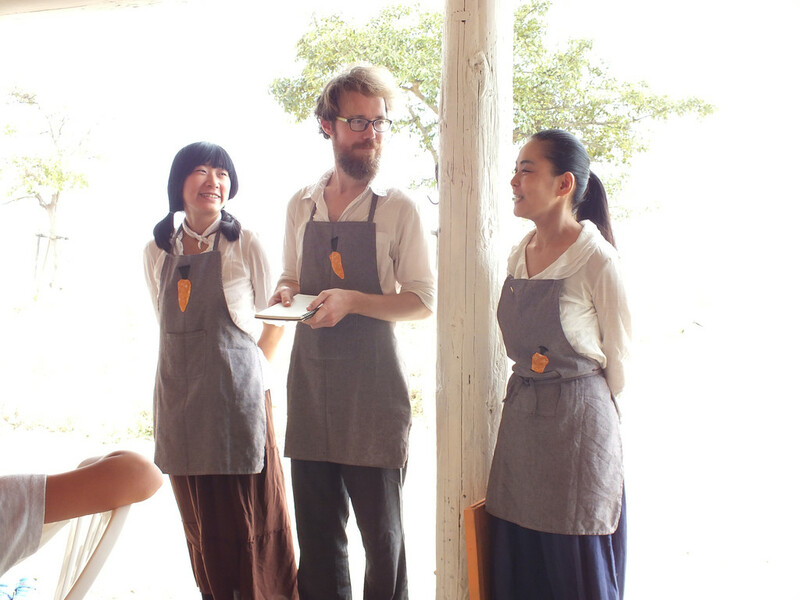 As I mentioned a few days ago, Patrick Lydon, Suhee Kang and Kaori Tsuji are starting an amazing project on Megijima for the next two months. Well, it’s really one stage of an ongoing project that’s moving from place to place. 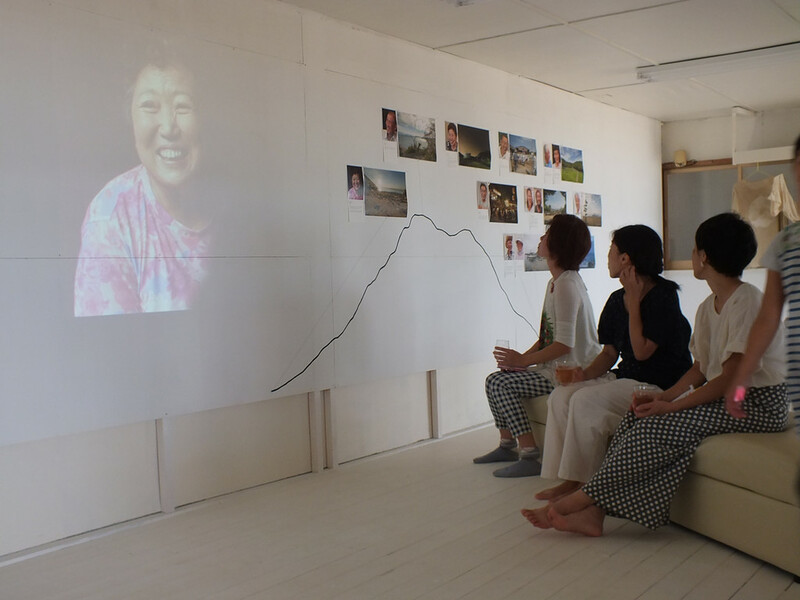 It is fascinating project in many ways; the main goal being to reconnect people with nature, reminding us that we’re a part of it too, and that only good things can come out of this reconnect. 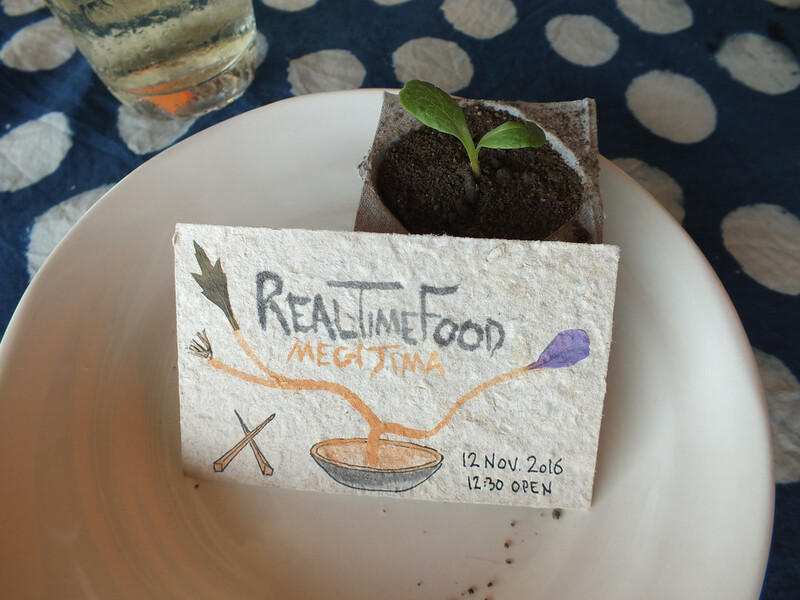 If you haven’t yet, I invite you to read the introductory post to the project: REAL time FOOD on Megijima. So, yesterday was the official start of the project, with also the opening of the World’s Slowest Restaurant. Of course I was there. 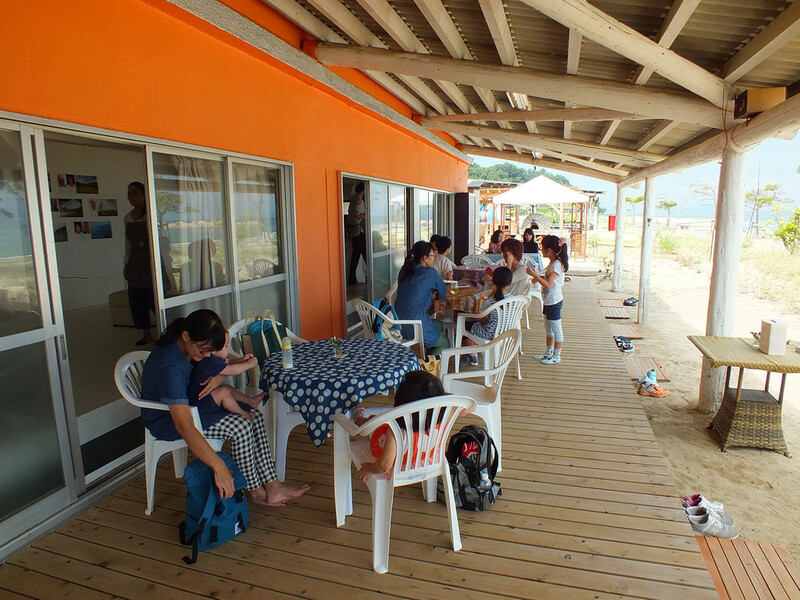 First of all the project is has its “base camp” at Oni Café & Gallery, one of the many “sea houses “(Umi no Ie in Japanese, that is, Summer only restaurants, cafés and hangout places on the beach) on Megijima. 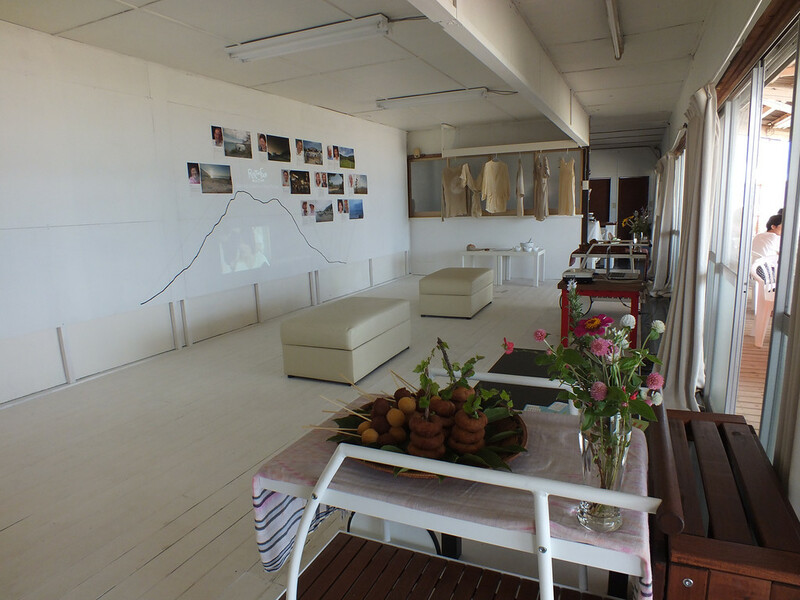 If you know Megijima a little bit (or even if you don’t know it and are looking for the place), it’s the one right after the “Long Island style” mini mansion (I really wonder who owns that building by the way, I’ve never seen anybody in it). 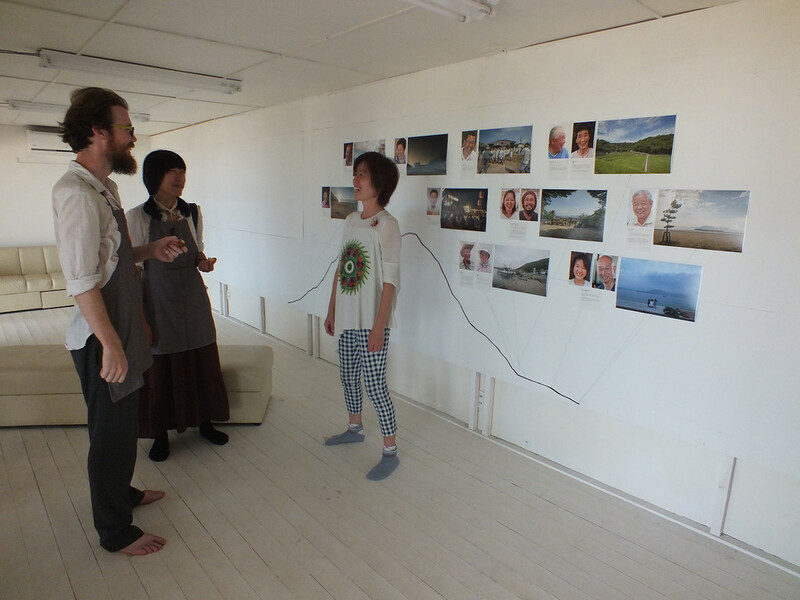 Left to right: Suhee Kang, Patrick Lydon, Kaori Tsuji. The menu for November 12th: garden’s special of the day! Wait what? The menu is for November 12th? But we were September 17th! Well, remember the title of this post? This was the opening of the World’s Slowest Restaurant. And while there were no Guinness representative to confirm and make it official, I’m pretty sure that if if’s not the actual slowest one, it’s close to it. Yesterday, we only “ordered” our food. Except that our food doesn’t exist yet. It’s only saplings at the moment. 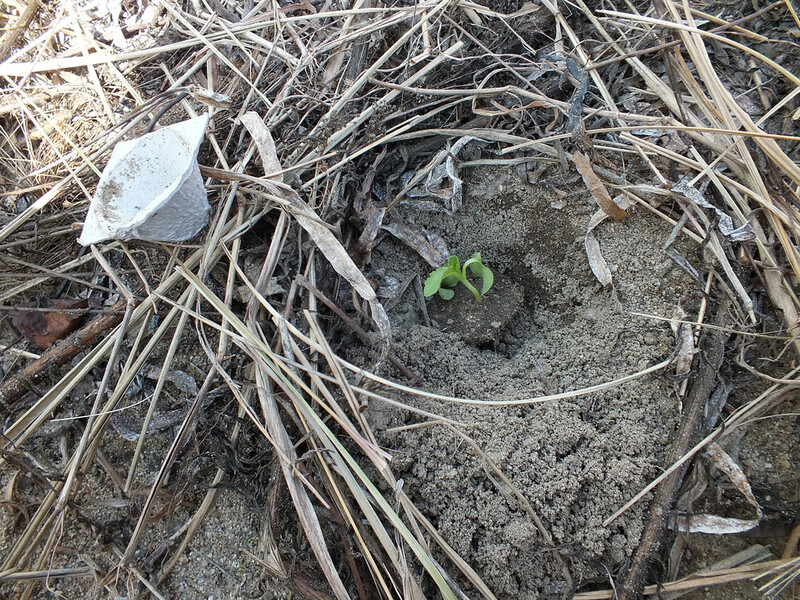 Saplings that we planted in the garden nearby afterwards. 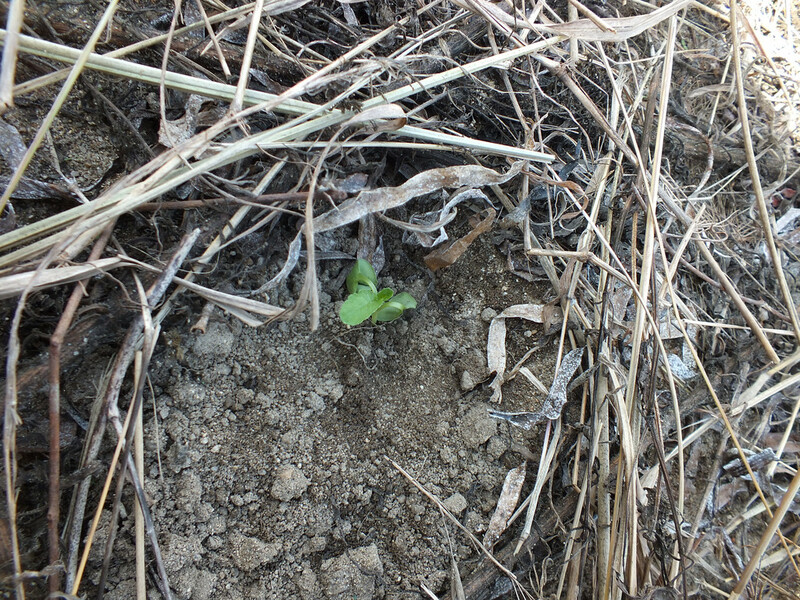 It will grow into vegetables and, on November 12th, we’ll return to the restaurant and eat them. And it’s not a gimmick. 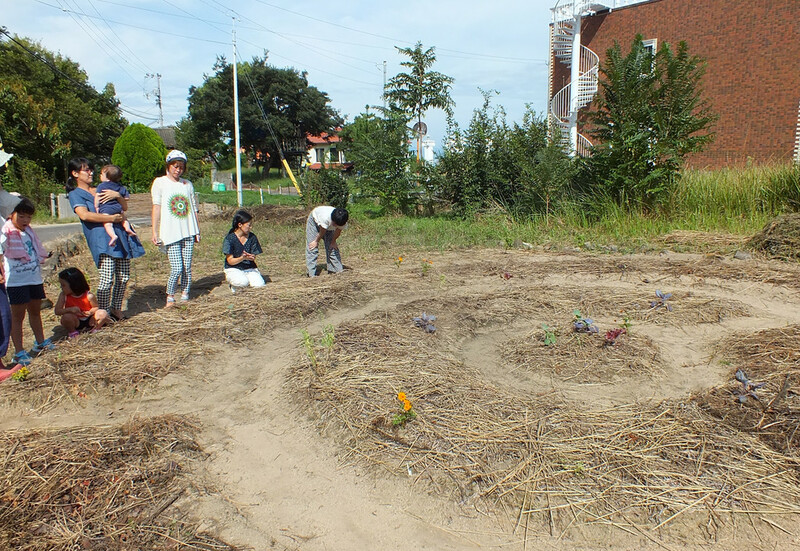 Remember the whole idea of the project is to reconnect people to nature. There are many ways to do that, but the main one is probably through food. Nowadays, most people are really completely disconnected from what food really is, and that disconnect it’s actually one of the main causes of global warming (industrialized food production being bad for… well for everything, really; humans, animals, plants, ecosystems, and the planet overall). A small personal side story: While I grew up in a small city, my dad grew up in a farm. As a kid, I used to visit the farm quite regularly, even spent lots of vacation there. It was not uncommon for me to play with chickens or ducks or rabbits one day, and have those very same animals in my plate on the following day. It never was an issue. It simply was the normal course of things. Also, and while I hated it, I regularly had to pick up various vegetables from the ground, be it potatoes or green beans from their fields, or mushrooms from the forest. 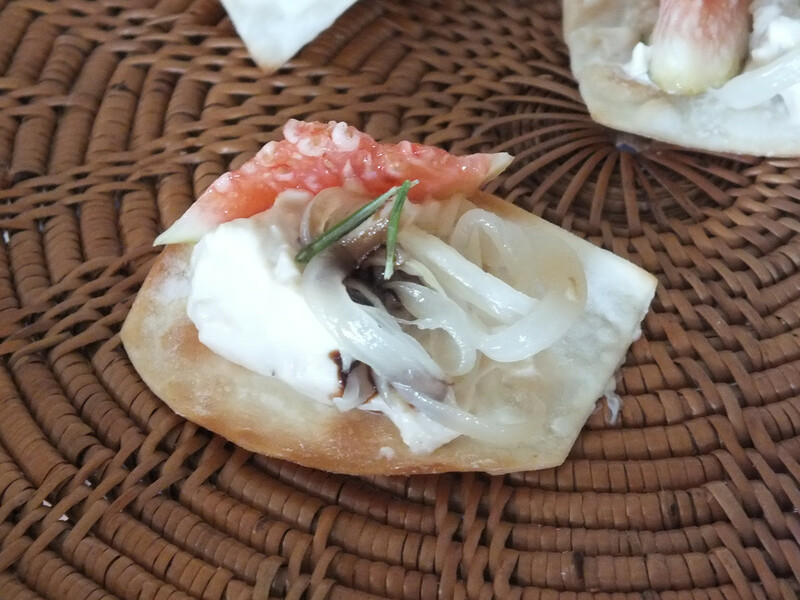 I grew up in a place and time where organic and unprocessed food was simply called… food. Growing older, I stopped going on vacation there, and while my parents still got a lot of their food from the family – or simply from farmer’s markets which are fortunately abundant where I’m from – I started to lose that direct contact with the source of my food as a college student. When I moved to the US, it was a shock. A huge shock! I’ve never felt food being so remote from its source than in that country. I could go on and on about it, but in short, it seemed pretty much impossible to find unprocessed food, even some of the basic food felt unnatural, be it seedless grapes or bleached eggs to only name two. And talking about food with people was also always a strange experience for me. They all seemed ignorant (willingly or not) about the fact that food is alive before being in your plate, animals and plants alike, and most Americans seem to hate being reminded of that fact. 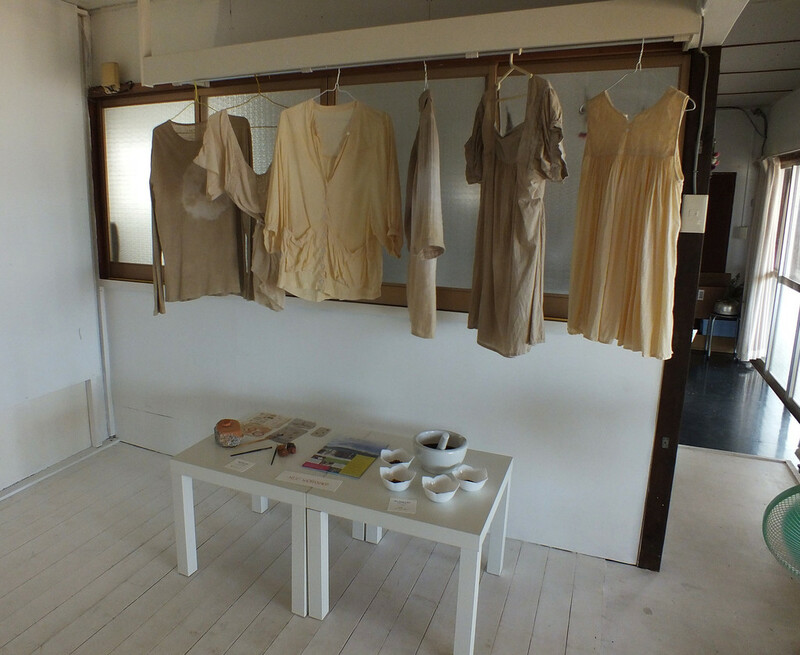 Now, in Japan, things are a bit weird. Japanese people have a healthier relationship with food than Americans overall, but still, most Japanese people are so urban now, that more and more of them are disconnected too. Luckily, the islands are always a good way to reconnect with food as a product of nature. Sometimes, it’s a bachan who will give me some fruits or vegetables when she runs into me, just because. I swear, I’m sure that some of Ogijima’s bachan are just walking around the streets of the island in search of people to give food to. I’m not complaining. Well, they don’t randomly give me food either, usually they do it when they see me talking with another local. 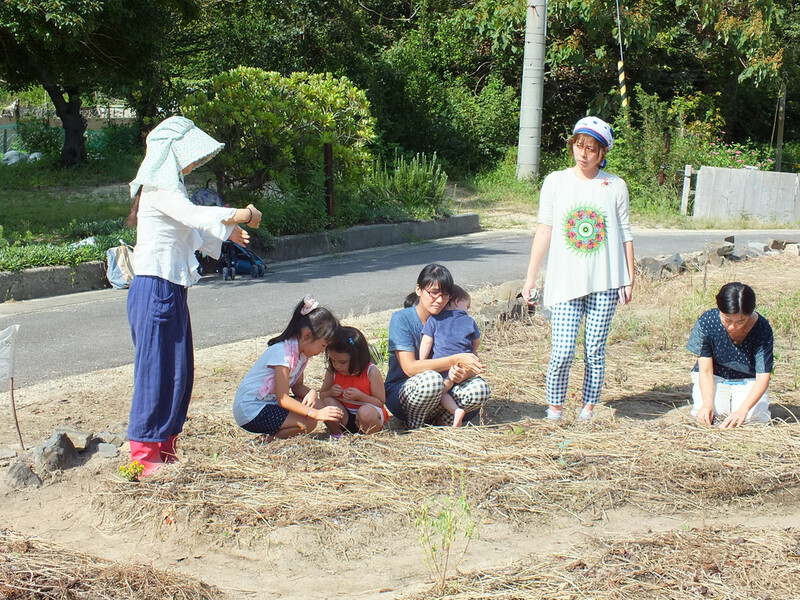 Another time, it will be a random family at the beach catching octopuses and inviting me to share their “extra-fresh but a bit salty octopus sashimi.” Should I mention that a year ago a good friend of mine “inherited” a field on Ogijima and he’s been growing his own vegetables there ever since (and he got me thinking). So yeah, the islands are a great way to reconnect to where our food comes from. And seeing your food as saplings, and then planting those yourself is also an awesome way to do that. During the next two months, I’ll make sure to stop by to Megijima as often as possible (time and money will be a factor, but I’ll make an effort) to see my future meal grow. 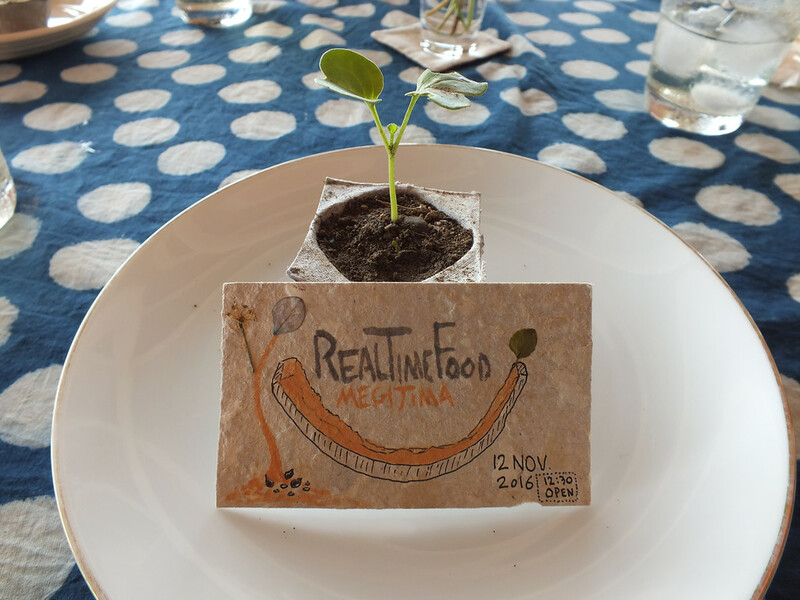 Yes, as I mentioned in the previous post about REAL time FOOD, workshops will be help regularly (every Saturday and more), I hope I’ll manage to attend at least a couple. 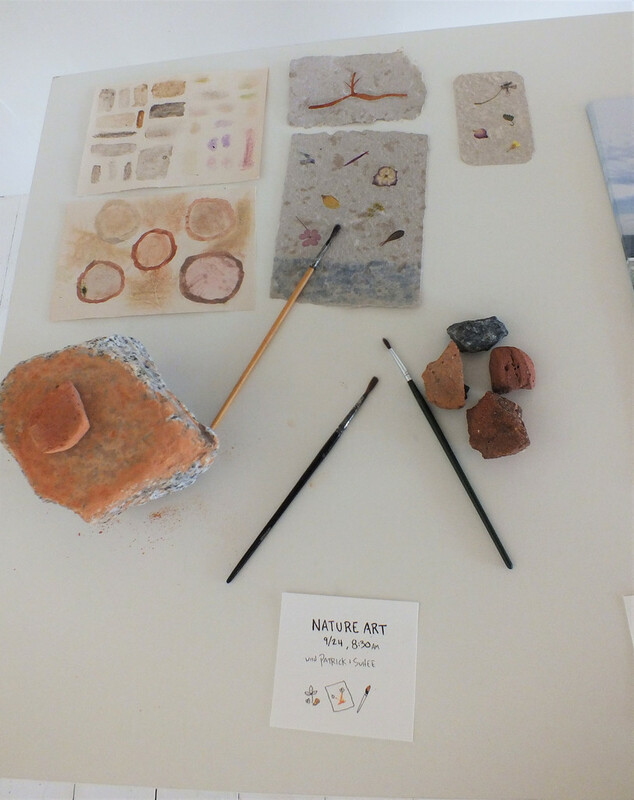 In the morning, a Nature Walk & Art workshop. 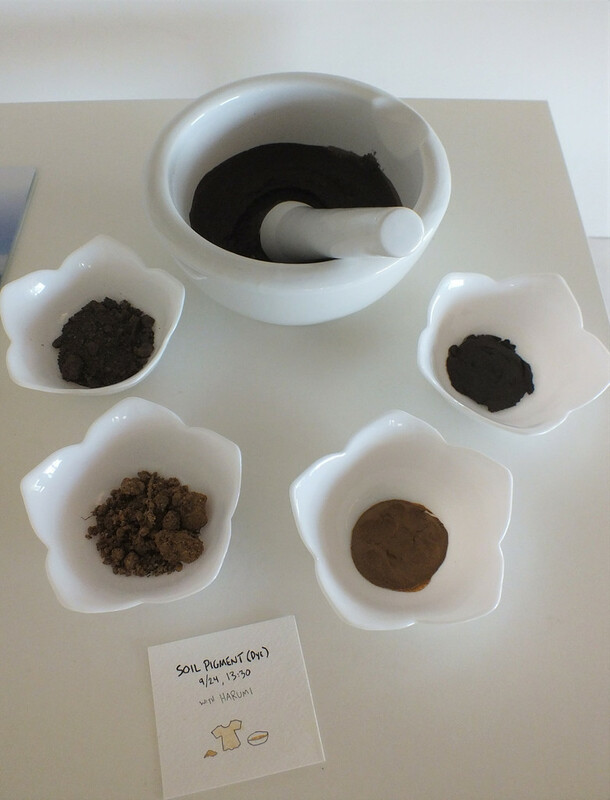 In the afternoon, an Art & Craft Workshop: Making Pigment with Soil. For more information, please check the official page of the event. Of course, as the topic of the day was food, there was food involved. 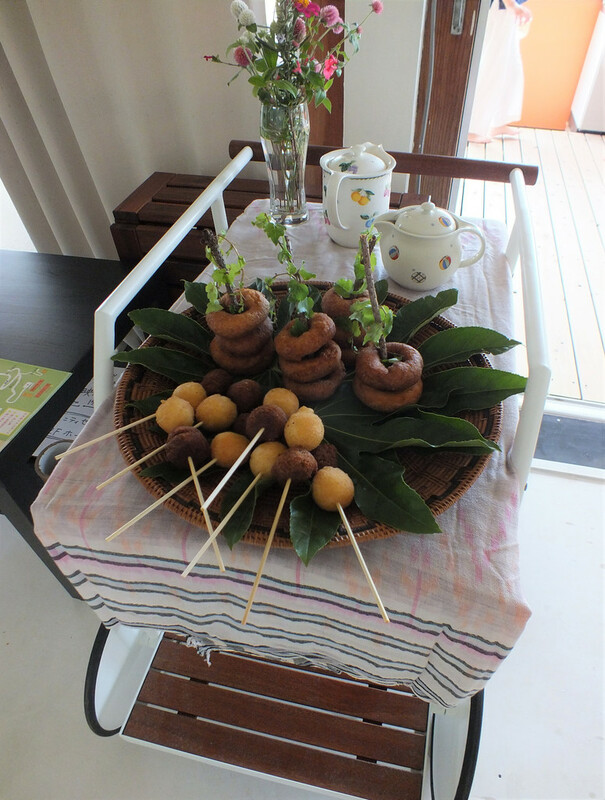 Homemade donuts by some Megijima locals. Some amazing snacks. I can’t really tell what was in them, except fig, but they were delicious and this is all that matters. They came with a delicious herbal tea made with basil and mint (and more). 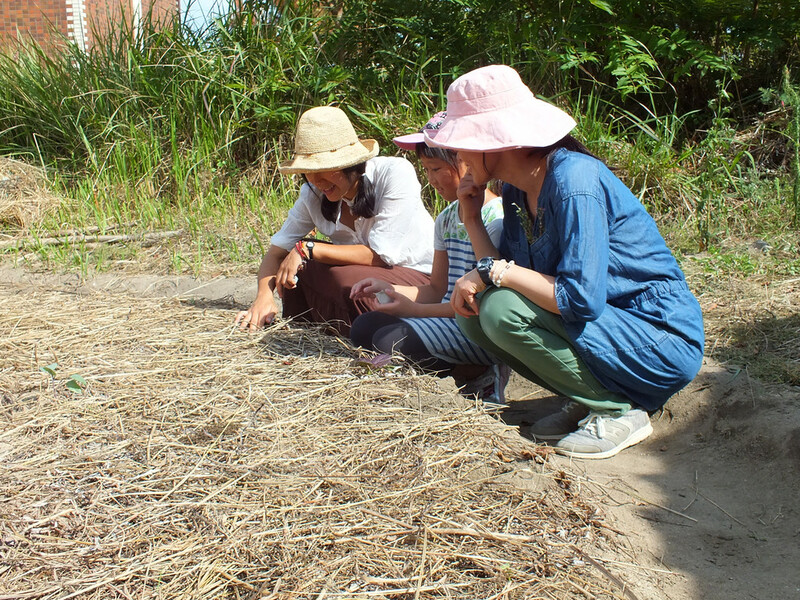 We also saw a projection of Patrick and Suhee’s documentary called Final Straw. I really advise you to click on the previous link. All in all, it was a great and enriching afternoon, kicking off a fascinating and important project, that I will follow closely (and report here as often as possible). 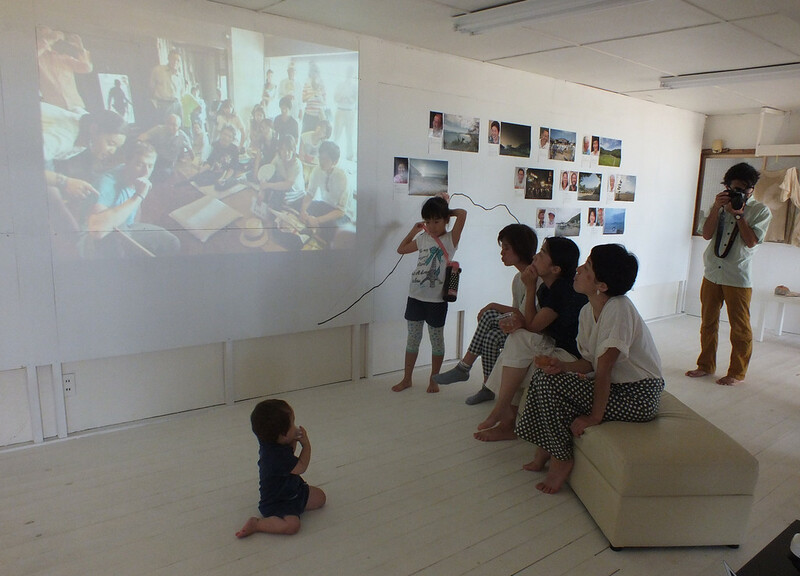 And of course, beyond the concept and everything else, what makes such a project a success are the people. I can tell you, Patrick, Suhee, and Kaori are really interesting and friendly people who really believe in what they’re doing. 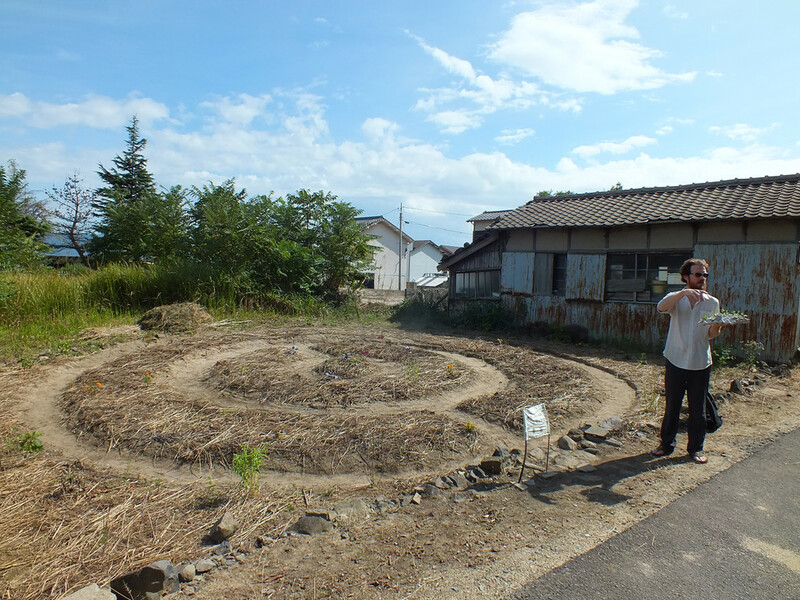 I can’t wait to return to Megijima and visit them, and I more than warmly advise you to do so too if you’re in Kagawa over the next two months.